Congratulations to Pankaj Sharma of Dallas, the winner of the Flickr Photo of the Week contest! Learn how he made this image out of two separate photographs. Congratulations to Pankaj Sharma of Dallas, the winner of the Flickr Photo of the Week contest! 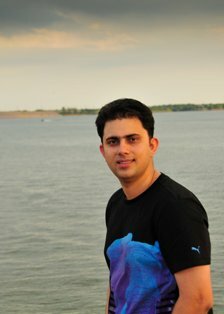 This is Pankaj’s first victory in our contest. He follows last week’s winner, Robert James Hughes. 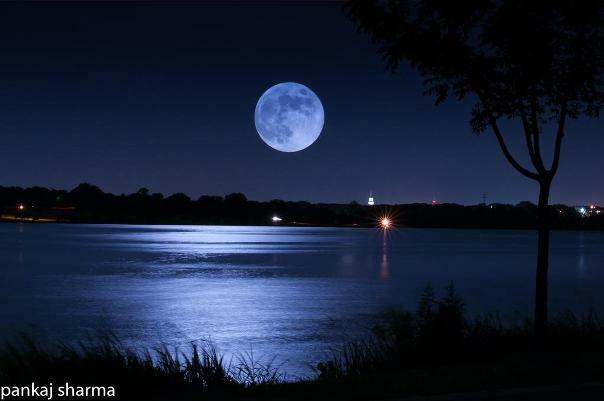 Tell us more about your photo: White Rock Lake is my favorite place to photo, run and relax (it’s just so close to my home). On this hot summer evening, I went out to the lake side to shoot some moon closeups, as it was a full moon night. I shot two pictures, a moon closeup at 300mm with fast shutter speed and narrow aperture to get details of the moon surface. The second picture was a landscape photo of the lake and part of the sky with long exposure settings. Then I used the Image Overlay menu settings in the camera to blend these. I was very happy with the results.